This is a weather application. 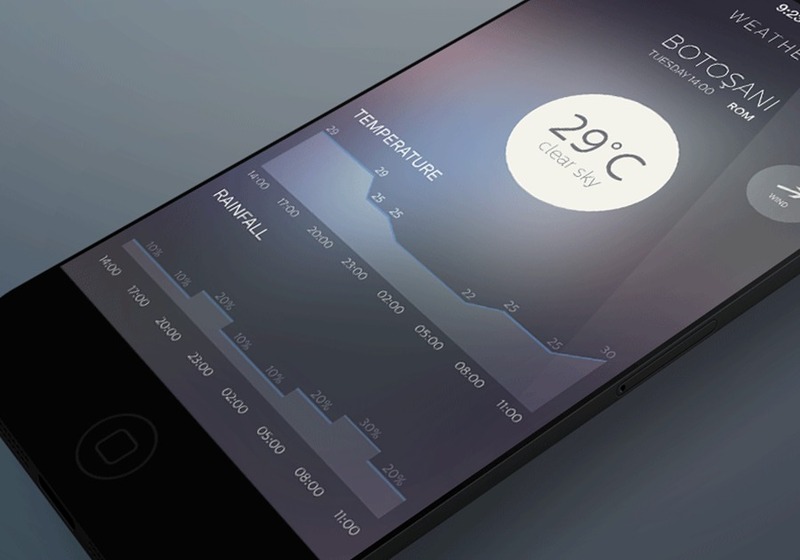 The interesting part in this concept is the way that app use the screen space to show you all the information you need about the upcoming weather. The circle in the center of the app is a flat weather icon.